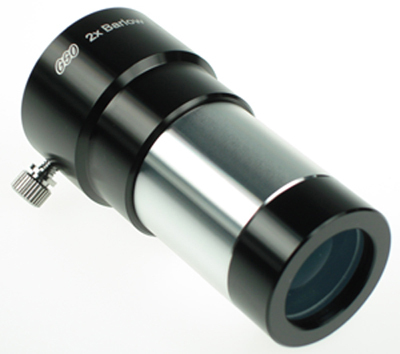 This GSO 2x Barlow lens fits into any 1.25" focuser and accepts 1.25" eyepieces and is a good 'value for money' or entry level option. 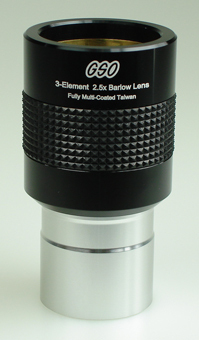 A state of the art Barlow from one of the worlds leading opticians. 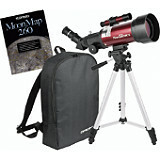 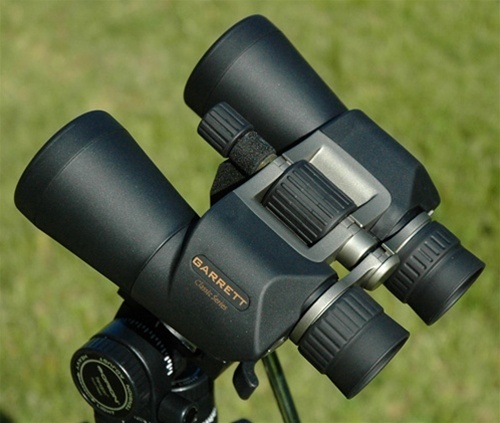 Fully multi-coated doublet design, doubles the power of all eyepieces. 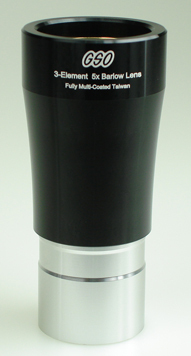 Supplied complete with end caps. 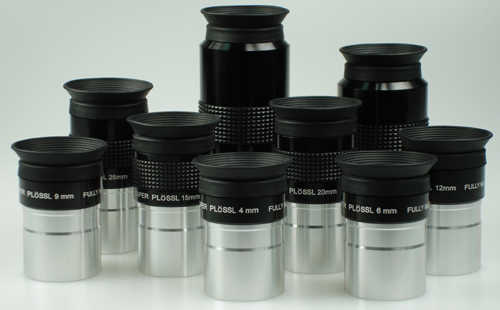 The optical cluster can by unscrewed and fit to a 1.25" Nose piece. 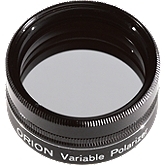 This is useful to achieve focus when taking images with a DSLR on Newtonian telescopes and other telescopes with a short back focus.